This past week, Glasgow-based event marketing specialists Lammas Incrementum travelled to Cumbria to carry out market research, with Managing Director Rory McLeod spearheading the trip. Managing Director at Lammas Incrementum Rory McLeod led the business trip to conduct market research in Cumbria, with a proposed opportunity for the firm to extend their market reach into the area. One of the biggest advantages to the direct marketing strategies of Lammas Incrementum is that through pop-up events and in-store promotions, the firm is not restricted to conducting their services at one static location. Instead, they have the ability to take their clients products and services to any market. The purpose of the business trip to Cumbria was to conduct extensive market research in the region and ascertain the consumer demand on behalf of their clients. The weeklong trip saw Lammas Incrementum set-up a number of events at retail stores and event venues throughout Cumbria. There was a significant focus on gathering data and feedback from consumers, allowing the firm to provide their client with concrete analytics. While it was not imperative for Mr McLeod to travel to Cumbria, the entrepreneur and business owner takes a very hands-on approach to management and believes in leading by example. “This expedition was a huge opportunity for Lammas Incrementum, and I wanted to be involved on the ground level. Using my coaches and mentors as an example, I have seen the tremendous benefits of taking a hands-on approach to management, and I believe in leadership over management,” said Mr McLeod. The Lammas Incrementum director is urging fellow business owners to get involved in the day to day running of their business and to lead from the front. Mr McLeod references a quote by Tom Peters, ‘Management is about arranging and telling. Leadership is about nurturing and enhancing’. Lammas Incrementum is first and foremost a sales firm, and their main objective is to deliver quality and quantity results for their clients. However, the firm is also committed to development. Mr McLeod is passionate about providing the same development opportunities to others that he was once afforded and he recognises the tremendous development opportunities a potential expansion into Cumbria could bring. 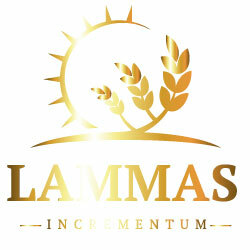 Lammas Incrementum is an event-marketing firm based in Glasgow. The firm offers an opportunity to bring brands to life on a platform designed to excite, interest and engage a consumer base. With instant results, the firm guarantees new customer attainment and existing customer maximisation. The prospect of a potential expansion has generated an air of excitement at the firm, and Mr McLeod has seen a noticeable boost in production.